TRF Forums :: View topic - Tyres, who uses what? 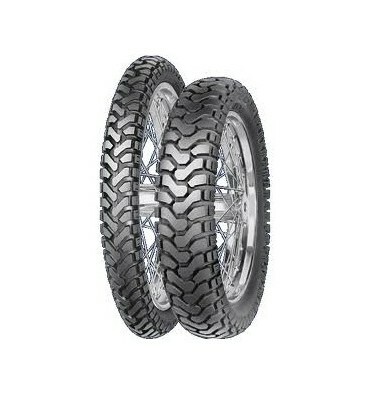 Post subject: Tyres, who uses what? Evening all, looking for a new rear tyre for my KTM 1190R. Wrote off my 2nd Conti Attack 2 in a little over 2000 miles. Being VR rated nobody seems keen to fix punctures in them. The RAC man plugged the rear today and it held on just long enough to get home. I use it mostly on Tarmac but hoping to venture off the hard stuff more often in the future. What should I get/not get? Mefo SuperExplorer from Zen overland. 8 out 10 KTM V-twins prefer them...don't know if they will fit your bike though...does it have an 18 in wheel? Thanks Richard, another member mentioned them to me, I've also heard good things about heidenau k60. Yes it has 18" rim. Anakee IIIs on my GS are great on road though wouldn't want to do more than hard pack / dry trails with then. Karoo IIIs are good too - still have plenty of life left in them when I took them off after a couple 1000 miles (stopped riding the GS off road so wanted a more road biased tyre - that being said, the Karoos are pretty decent on road too). Dunlop TR91s on my Tiger.............had TKC80s but they did not last long. Heard good things in the press about TKC-70s but nothing from everyday punters. Quite tempted to give them a try when my Anakees wear out - perhaps with a TCK-80 upfront. Cheers for all the replies, got a k60 scout, hopefully get it fitted today. If it doesn't work out, I'll have plenty of other options to look at. K60 ready to run in. Mitas E09 is great in the rear. Will dig deep in the mud and is very well manoured on the road. I use mine too lane and tour and tow haha. I Use an army special in the front. Great combo on the Tenere.